Oh, the cuteness that is happening right here. 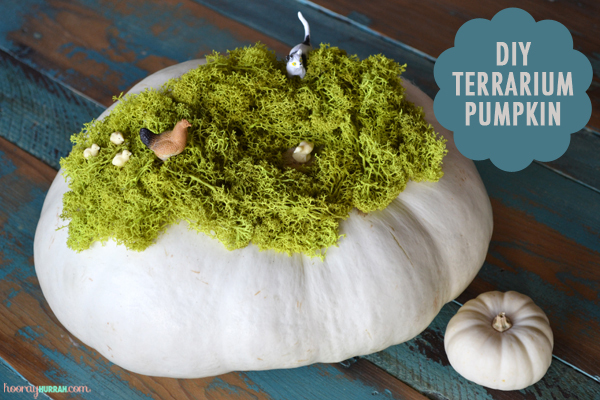 Instead of carving my pumpkin this year, I decided to take some liberties with the Halloween tradition and decorated my plump white pumpkin with some terrarium moss and tiny plastic animals instead. Artistic license, ya’all. 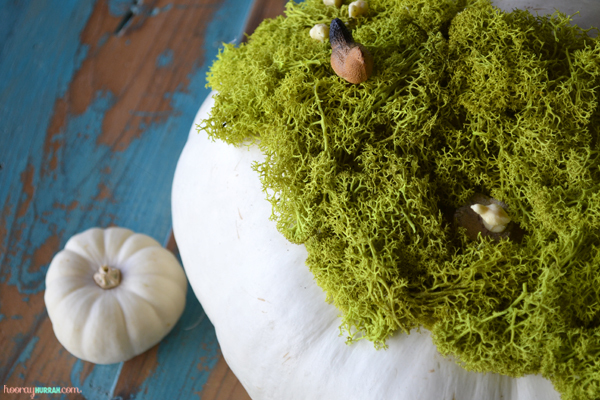 I used the stem as part of the landscape in my pumpkin terrarium too—a tiny tree stump! Map out where you want your animals to go, and glue them down directly on to the pumpkin. 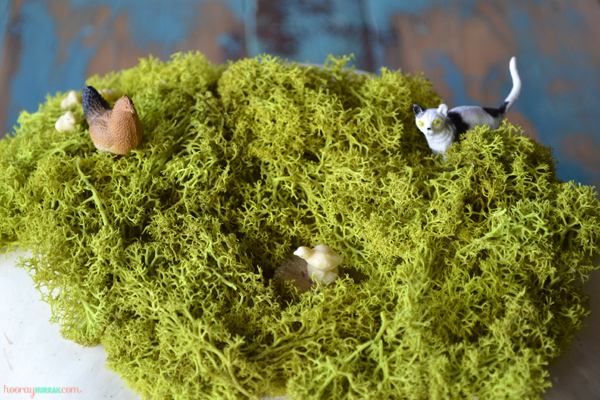 Glue the moss down second, surrounding the plastic animals. This entry was posted in Decor + DIY, DIY and tagged diy, halloween, holiday, holiday decor, no-carve pumpkin ideas, pumpkin, pumpkin decorating. Bookmark the permalink.